Only 2 km from the centre of Ioannina, in the beautiful region of Perama and very close to the famous cave with the multy-coloured stalagmites and stalactites, you will find the first class Tsironis Rooms which offer all the modern conveniences and unique hospitality. The complex offers always the best hospitality possible. Tsironis Rooms Hotel offers 9 spacious first class rooms (3 keys rating) which are bouble and triple but they can be converted into rooms of four beds. The complex 'Tsironis Rooms' has also a private parking for the better service of its clients, but also and a breakfast hall where you can taste fresh local products, traditional cheese pie, traditional pie, etc. 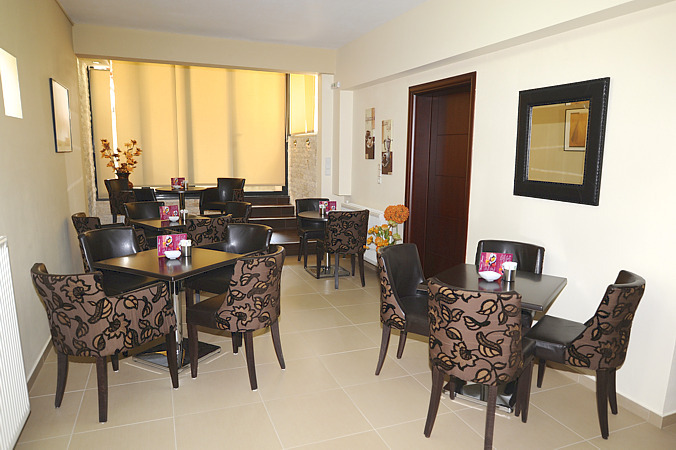 There is also Room Service and free wireless Internet [Wi - Fi]. 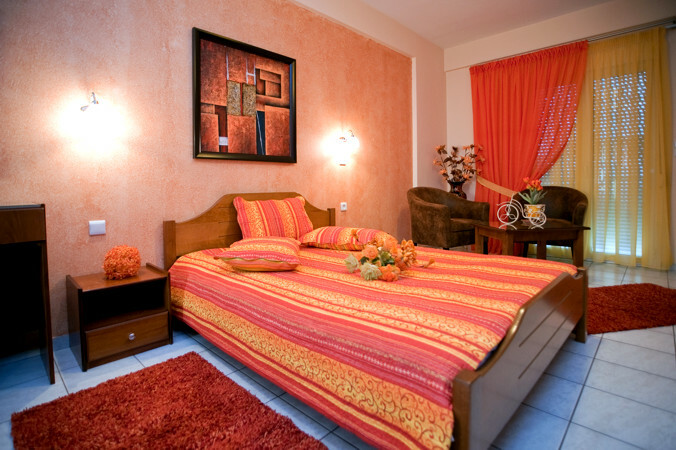 Tsironis Rooms runs since March, 2001 and was totally renovated in 2008. It is a family business, which belongs to the family of Dimitrios G. Tsironis. It is situated at 5 Petrohilou Str. at the centre of Perama, very close to the cave and to the road, which leads to Zagori villages. It is a first class complex and meets all the standards of the Hellenic Tourism Organization. Tsironi’s family has a great experience in Tourism since they had been living in Germany for 25 years and they speak perfectly the German language. 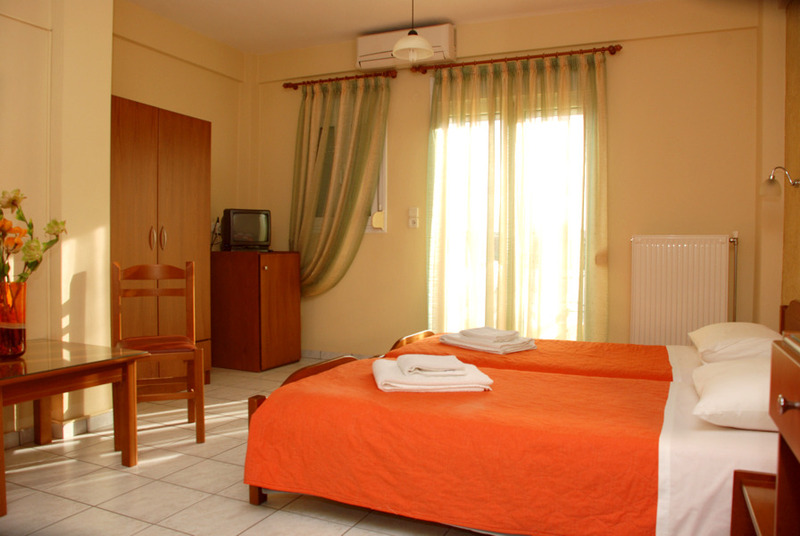 If you wish to escape from the stress of city life and the frenzy streets without being at the same time far away from it, then Rooms Tsironis is the ideal choice for you. Perama (Ioannina) is the seat of the homonymous municipality and it is situated about 2 km. from the centre of Ioannina on the road to Metsovo - Meteora - Trikala - Thessaloniki. It stretches northwestern of the legendary lake Pamvotida. Perama is a picturesque and cosmopolitan suburb of the city. There is a lot of tourist development in the area because of its cave with the numerous stalagmites and stalactites and is one of the most impressive caves not only in Greece but in Europe as well. There are a many taverns and cafes where the visitor can enjoy food or drinks and shops where one can buy wonderful pieces of popular art and jewels in low prices. During your stay at 'Tsironis Rooms' you can see all the sights of Ioannina and other regions. The sights of Ioannina city, such as: The Archeological Museum, the Byzantine Museum, the Museum of the Epirus Studies Society and the Art Gallery, the clock of the central square built in 1905, old mansion houses and preservable monuments, the picturesque castle, the Museum of Greek history with P. Vrelli's wax statues etc. - The Cave of Perama with the wonderful "halls" and the numerous multi-coloured stalagmites and stalactites which were explored by the speleologists Anna and Ioannis Petrohilos. - The Museum of P. Vrellis, in the region of Mpizani in Ioannina. - Zagori villages with the imposing Vikos canyon and the rare spieces of flora and fauna. The management of 'Tsironis Rooms' is willing to give you any information about the sights and excursions. Please see more information related to the sights of the region: www.epirus.org and www.ioannina.info.